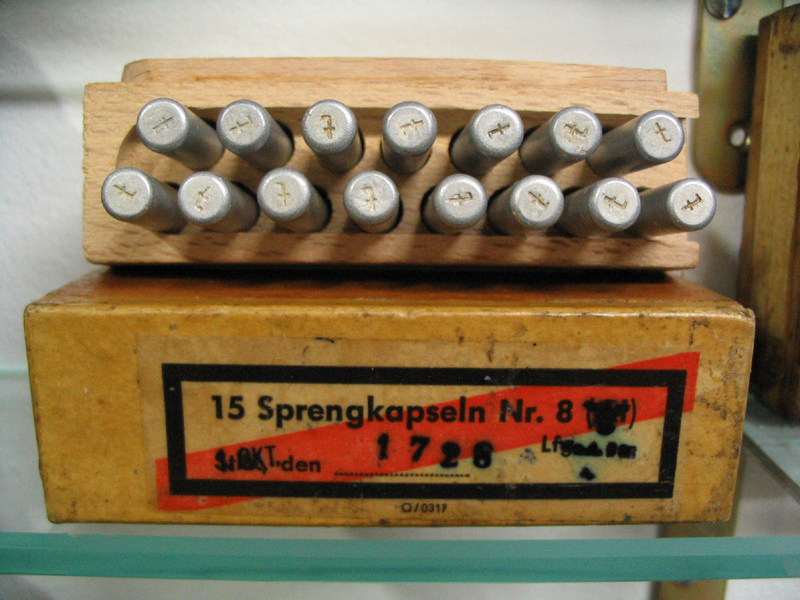 Detonator No.8 was the most widely used in the German Army in WW2. 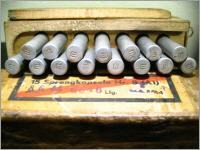 Normally made of aluminium, they were also made in steel, brass and zinc. They fit about every grenade- and boobytrap-fuze. 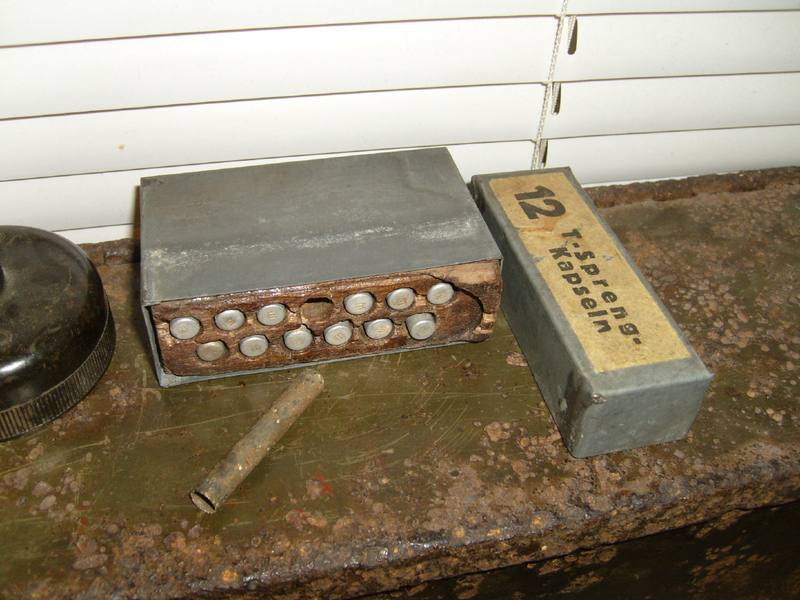 The middle photo above show unmarked detonators. 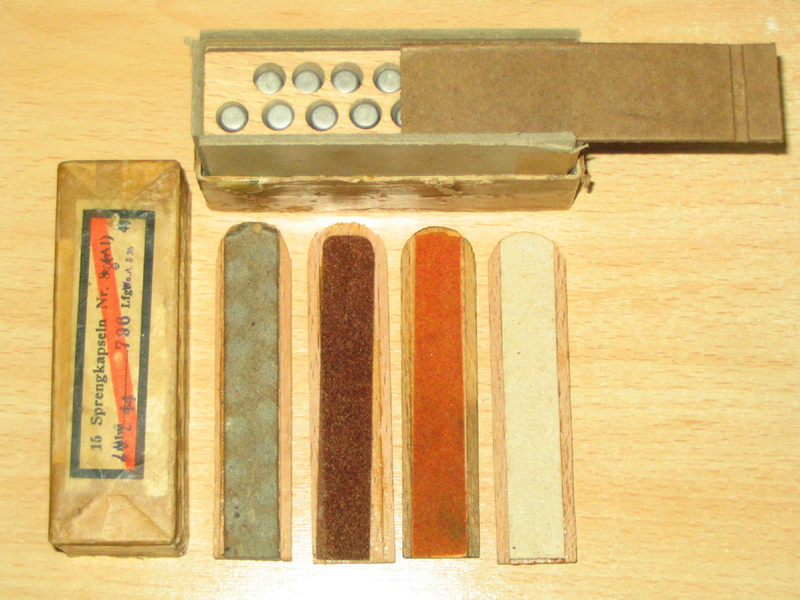 Detonators were packed in a drilled wooden block, wrapped in weatherproofed paper with a label referring to content, lot code and control stamp. All photos © Miguel A.J. 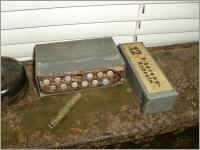 On the right , the box of detonators that I have in my collection. One place in the box stays empty. 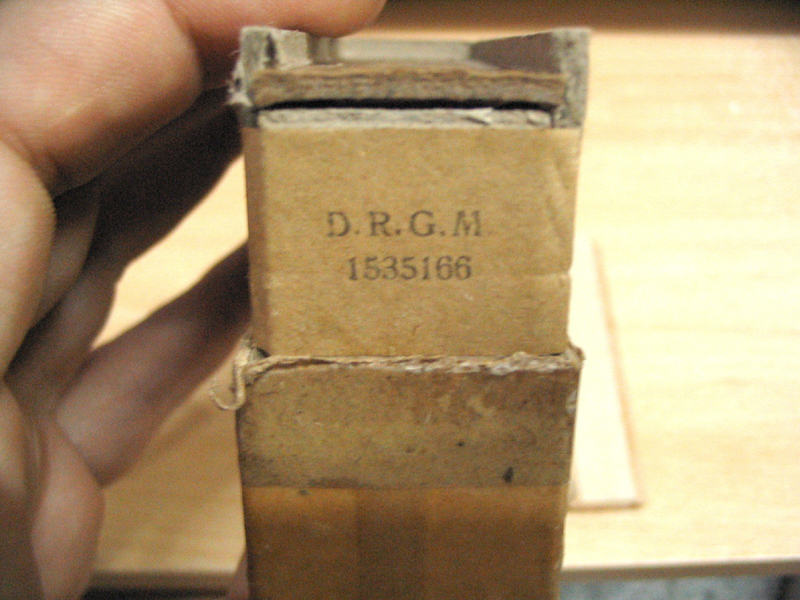 The thin wooden cover is missing. 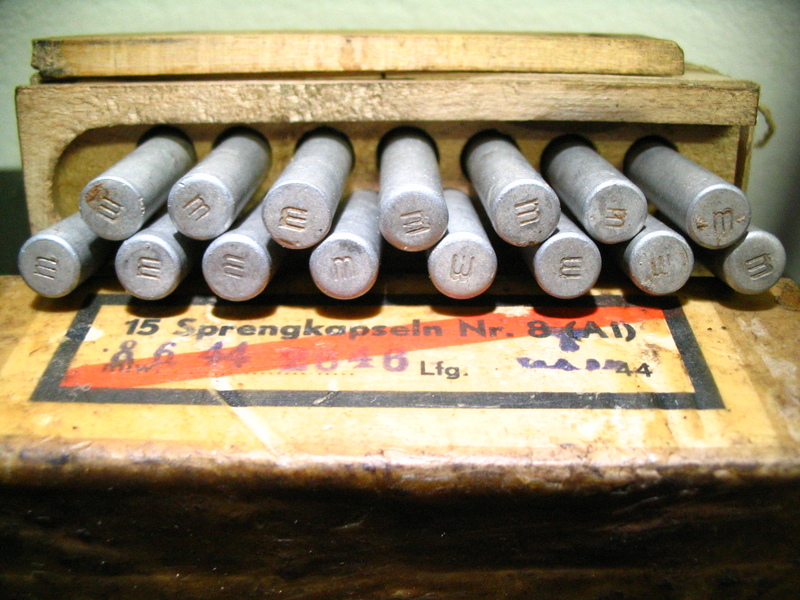 The detonator laying in front of the packing is a Sprenkapsel No8 made of zinc.